Showing results by author "Charlie Waters"
This newly updated edition captures the best stories ever told about "America's Team." Tales from the Dallas Cowboys Sideline is a fascinating, fun look at the inner workings of one of the most beloved teams of all time. From what really happened during Tony Dorsett’s TD run in Super Bowl XII to Coach Tom Landry’s suggestions on pre-game meals, this book is a hilarious and unique collection of stories. 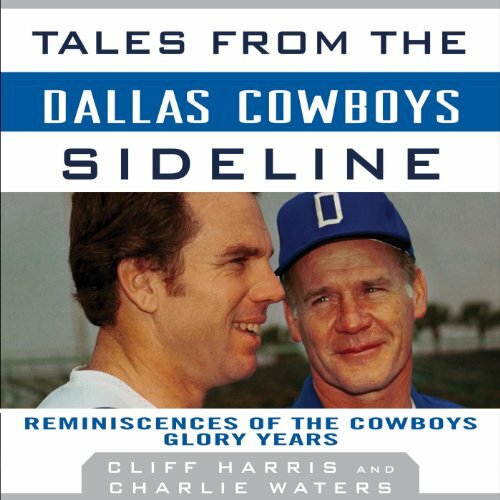 Cliff Harris and Charlie Waters never lost sight of how much fun it was to play in the NFL—especially for the Dallas Cowboys—and they share that fun with you in Tales from the Dallas Cowboys Sideline.